Christmas is hands-down my favorite time of the year. Combine that with the retail restrictions that come with traveling light and you can imagine how much fun I've had this month Christmas shopping for my family. 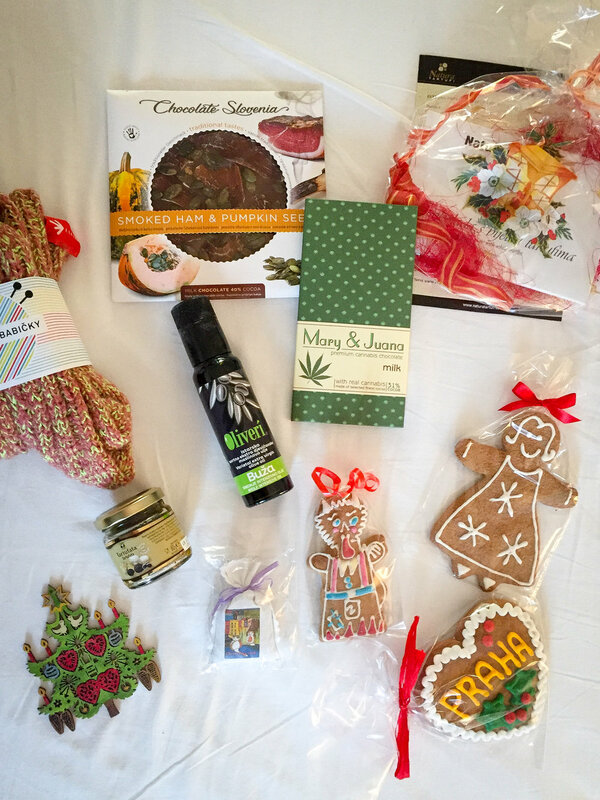 I have visited Christmas markets in five different countries this month (post forthcoming), so I have accumulated quite a variety of festive little gifts. Everything I selected is handmade, local, and (for the most part) consumable. For my mom and sis, I rounded out their selections with a few other gifts not pictured here. A mix of surprises from the Nuremberg world-famous holiday markets and local shops.